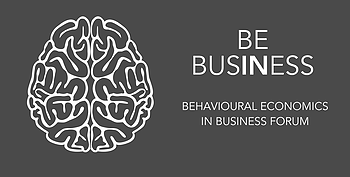 In December we launched the first Behavioural Economics in Business Forum event. Simon Gulliford was the keynote speaker, sharing his insights on the value of understanding customer behaviour and driving the focus on customer experience in the boardroom. Al Rhind from Aegon shared a case study on applying BE to transform contact centre conversations to increase conversion rates, AUM, NPS scores and staff retention. 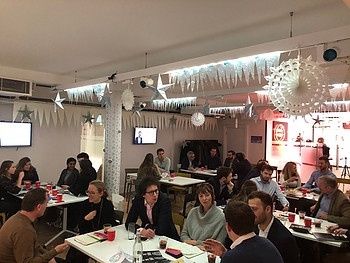 Over mince pies and mulled wine the forum members from leading UK businesses shared insights on areas of opportunity and the successes they have in customer experience journeys. The members represented a cross-section of businesses including Aegon, Boden, Bupa, EDF, Fidelity, Fountain Money, HSBC, Ingeus, L&G, Old Mutual Wealth, Sainsbury's, Sky, Swiss RE, TUI and Warwick University. It was really amazing to see how enthused businesses everywhere are about behavioural economics. To hear such educated conversation with mince pies in hand was a wonderful sight and we cannot wait to do it all again in the new year. The next event will take place in March 2018; we look forward to seeing all members then.